WayHomies! It’s Time to Experience Ontario’s Lake Country! You are here: Home / WayHomies! It’s Time to Experience Ontario’s Lake Country! Welcome WayHomies to Ontario’s Lake Country, Orillia & Area’s Four Season Playground! You will travel far and wide to attend this great event, and memories will be created that will last a lifetime. You will notice during your travels that our region is quite beautiful. 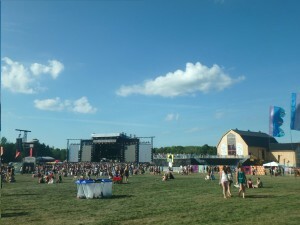 Not only is it surrounded by sparkling lakes fit for swimming, boating and paddling, it is full of unique Festivals & Events and fun Experiences & Adventures. We invite you to come and DISCOVER Ontario’s Lake Country. 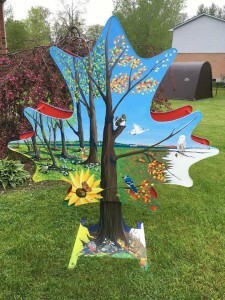 An annual summer-long outdoor art exhibit in Downtown Orillia. 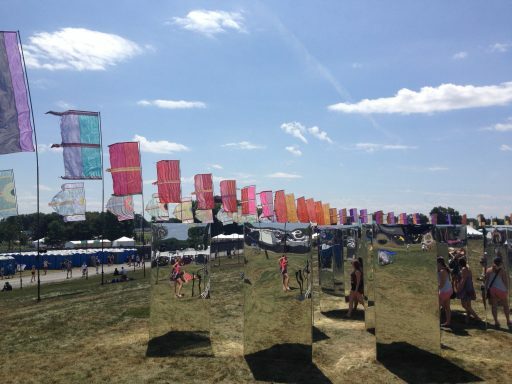 Their 2016 theme is “Story Poles”, and will feature 40 unique sculptures that tell a visual art story. Come and see how local artists have interpreted the theme and vote for your favourite. Visit our quaint downtown with great shopping and delicious restaurants! 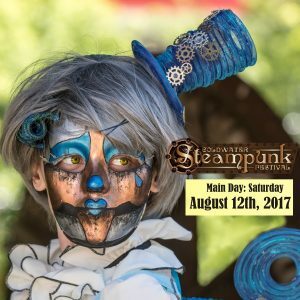 A science-fiction festival that favours steam-powered machinery set in the Victorian era. This year’s theme is “Circus Sideshow”! This event is a must see! Come dressed for the theme, or simply take in all the fun. Local shops, galleries and studios line Peter Street South in Downtown Orillia making it the perfect spot for a magical evening of art and music set under the stars. 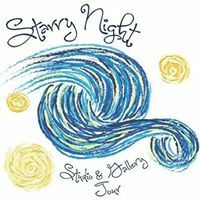 You can even become an artist yourself by contributing to their colourful Starry Night Canvas. You will be captivated! 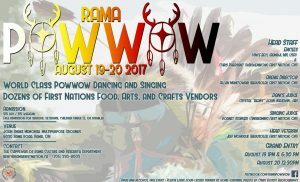 Experience traditional dancing, drumming and singing! Food and craft vendors will be onsite. 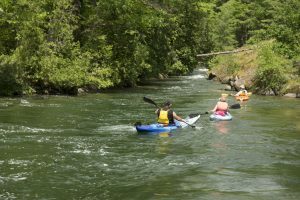 If fun Experiences & Adventures are what you’re after our region has it all! Take a ZIP! 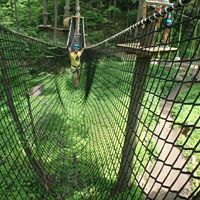 Horseshoe Resort‘s Adventure park is filled with fun. There is a climbing wall, obstacle course, zipline, mini-putt & more! Also at Horseshoe Resort, Treetop Trekking and Segway Tours. Get out mountain biking this season! Hardwood Ski & Bike has over 80km of trails for you to explore – all skill levels welcome. Rentals are available! Tis the season for Farmers’ & Country Markets! This is the country – so we have a lot of options! 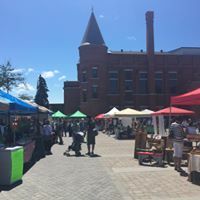 OK Friday at Burl’s Creek Event Grounds,Orillia Farmers’ Market in Downtown Orillia, Orillia Fairgrounds Farmers’ Market at ODAS Park, Coldwater Farmers’ Market at the Coldwater Mill & Brechin Country Market at the Brechin Ball Park. Our region is home to some amazing artists! 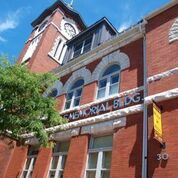 You can find their work at local galleries and museums like Peter Streets Fine Art Gallery & Studio and the Orillia Museum of Art & History along Peter Street Arts District in Downtown Orillia. Be sure to visit their websites as their exhibits are always changing. If you’re interested, local artists also offer programs and art instruction (information can also be found on online). Breathe in the fresh air and explore nature! There are lots of resources available for you right at your fingertips – Paddle Lake Country (for canoe, kayak and stand-up paddle board routes), Cycle Simcoe (for road and trail cycling routes), and Simcoe County Trails (for hiking, accessible trails and more!). *If you’re looking for a guided mountain biking experience – Ride Guides is the perfect choice! Explore our website for more information on things to do, places to go and where to stay. You can also contact us at 705-325-9321, 1-866-329-5959 or info@ontarioslakecountry.com. Be sure to follow us on Facebook, Twitter and Instagram, and don’t forget to share your photos and experiences! We look forward to seeing you soon.